George Forster Sr is entering his 35th year as the Head Golf Professional at Radnor Valley Country Club. George is responsible for managing and overseeing the entire golf operation including 250 annual golf events. He has promoted the game of golf by conducting well over six thousand events and programs that have been enjoyed by RVCC Members and their guests throughout his tenure. George also represents RVCC in local and National golf tournaments. He has played in 12 Champions Tour Events (2 Senior US Opens and 10 Senior PGA Championships). The Global Golf Post listed Forster as “Honorable Mention” to their best playing club professionals in the country All Star Team for 2015 and 2016. • Runner up in over 40 local PGA tournaments. • 2 time Philadelphia Section “Ike Turner Most Improved Player” award. • 4 time Philadelphia Section “Skee Riegel Senior Player of the Year”. • Played in 2 Sr US Open and 10 Sr PGA Major Championships on the Champions Tour. • Played in 12 Sr National Professional Championships. Made 11 straight cuts in this championship from 2006-2016. • Played in 11 Professional National Championships. • Nationally ranked 10th in 2008 for Sr PGA Professionals. • 4 time captain of the PGA vs. GAP Challenge Cup matches. • Inducted into the Hall of Fame at Philadelphia University and Roxborough High School. • The Philadelphia Section PGA “Golf Professional of the Year” in 2009. Nelson Ranco has served as Radnor Valley’s Director of Golf Instruction since 2010. Prior to joining Radnor Valley, he was the Director of Golf Instruction at Green Valley Country Club for twelve years, where he had come from serving as the Teaching Professional at Boca Rio Golf Club in Boca Raton Florida. 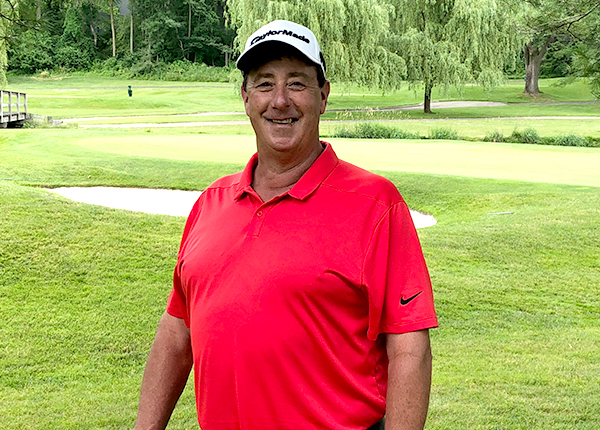 Nelson is a PGA Member and his teaching expertise, along with his knowledge of the V-1 Digital Video Golf Coaching Software, has enhanced the instructional experience for Radnor Valley Members of all skill levels. Nelson conducts exciting instructional programs, including Summer Junior Camps, short game schools, beginners’ nights and more. During the winter months he offers golf trips for members and guests that incorporate golf instruction, golf course management and 18 holes of daily golf at PGA Golf Club in Port St Lucie Florida.